"friday-lunch-club": Seymour Hersh: "A deliberate manipulation of intelligence on Syria!" Seymour Hersh: "A deliberate manipulation of intelligence on Syria!" "... Barack Obama did not tell the whole story this autumn when he tried to make the case that Bashar al-Assad was responsible for the chemical weapons attack near Damascus on 21 August. In some instances, he omitted important intelligence, and in others he presented assumptions as facts. Most significant, he failed to acknowledge something known to the US intelligence community: that the Syrian army is not the only party in the country’s civil war with access to sarin, the nerve agent that a UN study concluded – without assessing responsibility – had been used in the rocket attack. In the months before the attack, the American intelligence agencies produced a series of highly classified reports, culminating in a formal Operations Order – a planning document that precedes a ground invasion – citing evidence that the al-Nusra Front, a jihadi group affiliated with al-Qaida, had mastered the mechanics of creating sarin and was capable of manufacturing it in quantity. When the attack occurred al-Nusra should have been a suspect, but the administration cherry-picked intelligence to justify a strike against Assad.... He cited a list of what appeared to be hard-won evidence of Assad’s culpability: ‘In the days leading up to August 21st, we know that Assad’s chemical weapons personnel prepared for an attack near an area where they mix sarin gas. They distributed gas masks to their troops. Then they fired rockets from a regime-controlled area into 11 neighbourhoods that the regime has been trying to wipe clear of opposition forces.’ Obama’s certainty was echoed at the time by Denis McDonough, his chief of staff, who told the New York Times: ‘No one with whom I’ve spoken doubts the intelligence’ directly linking Assad and his regime to the sarin attacks. But in recent interviews with intelligence and military officers and consultants past and present, I found intense concern, and on occasion anger, over what was repeatedly seen as the deliberate manipulation of intelligence. One high-level intelligence officer, in an email to a colleague, called the administration’s assurances of Assad’s responsibility a ‘ruse’. The attack ‘was not the result of the current regime’, he wrote. A former senior intelligence official told me that the Obama administration had altered the available information – in terms of its timing and sequence – to enable the president and his advisers to make intelligence retrieved days after the attack look as if it had been picked up and analysed in real time, as the attack was happening. The distortion, he said, reminded him of the 1964 Gulf of Tonkin incident, when the Johnson administration reversed the sequence of National Security Agency intercepts to justify one of the early bombings of North Vietnam. The same official said there was immense frustration inside the military and intelligence bureaucracy: ‘The guys are throwing their hands in the air and saying, “How can we help this guy” – Obama – “when he and his cronies in the White House make up the intelligence as they go along?”’The complaints focus on what Washington did not have: any advance warning from the assumed source of the attack. 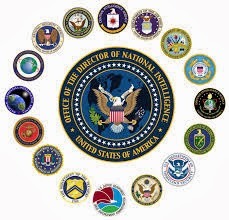 The military intelligence community has for years produced a highly classified early morning intelligence summary, known as the Morning Report, for the secretary of defence and the chairman of the Joint Chiefs of Staff; a copy also goes to the national security adviser and the director of national intelligence. The Morning Report includes no political or economic information, but provides a summary of important military events around the world, with all available intelligence about them. A senior intelligence consultant told me that some time after the attack he reviewed the reports for 20 August through 23 August. For two days – 20 and 21 August – there was no mention of Syria. On 22 August the lead item in the Morning Report dealt with Egypt; a subsequent item discussed an internal change in the command structure of one of the rebel groups in Syria. Nothing was noted about the use of nerve gas in Damascus that day. It was not until 23 August that the use of sarin became a dominant issue, although hundreds of photographs and videos of the massacre had gone viral within hours on YouTube, Facebook and other social media sites. At this point, the administration knew no more than the public..."